We had a fantastic time on this engagement photography shoot with our fantastic couple Heather and Brett. We paid a visit to the magnificent Bolsover Castle near Chesterfield in North East Derbyshire on a cold and damp Sunday afternoon in December. 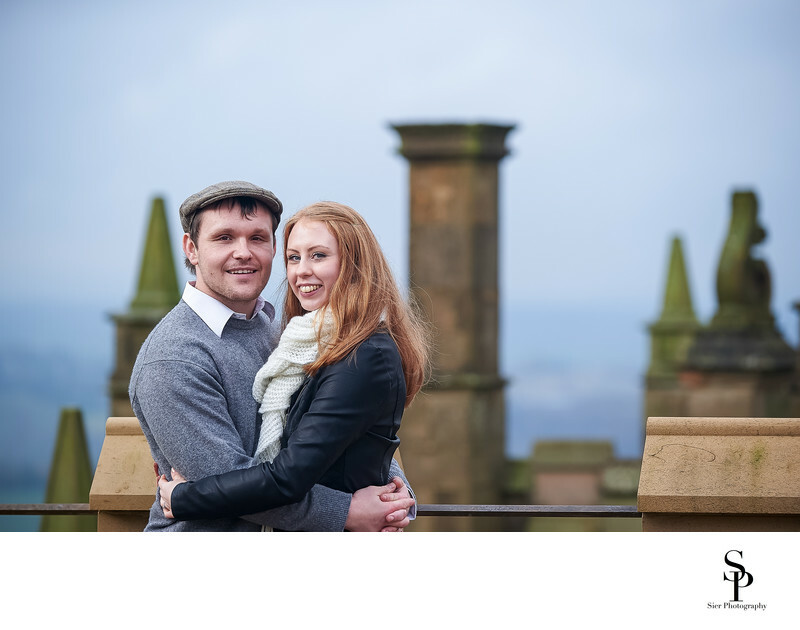 The weather wasn't enough to put us off though, a lovely, happy couple and some stunning historic architecture allowed us to capture some fantastic images for our couple for their engagement photography photo frame. We really enjoy meeting our couples and spending some time with them ahead of their wedding day on an engagement photography shoot. Some couples are nervous about being photographed and spending some time working with our couples helps break the ice and allow them to feel more relaxed with us around. At the same time we are taking the photographs for the couple we can chat about their wedding day plans and get a better feel for how they expect their day to flow and any fun plans or pranks the have planned for the day. The photo shoots really do help our couples relax and have fun,we always try to make couples feel relaxed and enjoy the experience as much as possible while reassuring them that we are there to help on your big day.